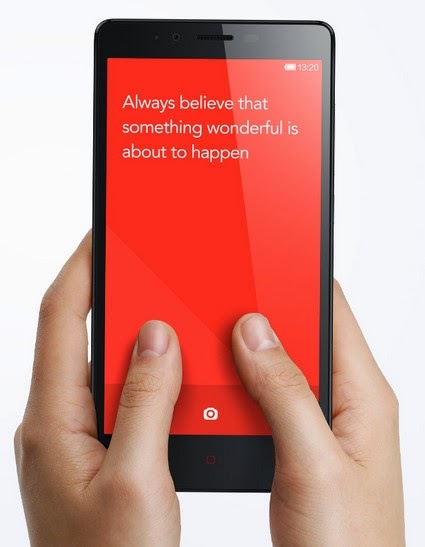 Xiaomi Philippines, Arriving Soon! Chinese Handset Maker Officially Announces Plan To Enter the Philippine Market! Great news for all Xiaomi smartphone fans in the Philippines! Just a few hours ago, Xiaomi Corporation formally disclosed that the Philippines is one of the ten countries that it wants to enter soon as part of its plans for international expansion. Of all the models in Xiaomi's current product line-up, Redmi Note is what I'm looking forward to playing with the most. With price tag in China equaling roughly $130 in the US, this very affordable yet powerhouse Dual SIM phablet is powered by 1.7 GHz Octa Core ARM Cortex A7 CPU and Mali-450 GPU based MediaTek MT6592 chipset and flaunts a 5.5 inch Full HD IPS display, 5 MegaPixel front cam, and a 13 MegaPixel main camera - replete with ƒ/2.2 aperture and 28mm wide angle lens - that's capable of taking RAW photos. Apart from the Philippines, Xiaomi will also commence operations in Russia, Brazil, Malaysia, Indonesia, Thailand, Vietnam, Turkey, Mexico, and India. "You can certainly call this an acceleration. It's our mission and our belief that [our business] model [of selling handsets solely via our e-commerce site] should be able to achieve some level of success outside of China," Mr. Bin Lin - President and Co-Founder of Xiaomi - told the media in a press conference in Beijing. By offering its products through its online store alone (Mi.com, formerly Xiaomi.com) instead of an actual one, the Chinese company is able to effectively cut costs and keep prices down to the benefit of consumers. Xiaomi is hopeful that this strategy would also work in other territories, especially in emerging markets like the Philippines. Well, I think that, given the success of online gadget stores in the country (most popular of which is Kimstore, my trusted online store), it's not hard to imagine Xiaomi likewise getting its own loyal following amongst Pinoy gadget fans. So what's there to say? Welcome to Pinas, Xiaomi! Not familiar with Xiaomi?! Xiaomi Corporation is one of China's biggest electronics company that designs, develops, and distributes smartphones, mobile apps, and other consumer electronics like powerbanks and set-top TV boxes. Only four years old, Xiaomi - headed by its founder and CEO, Mr. Lei Jun - outsells Apple Inc. in China.